Labels matter to me. Much of my life since 2010 has focused on studying movements in the Nordic countries that are often described in the same terms as Bannon. I followed these groups as they transformed from a music-based, hooliganistic youth subculture to a dynamic political and cultural force poised to shatter the foundations of progressive liberalism. Yet I almost never describe them with words like “racist,” “fascist,” or “extremist.” Instead, I label them as they label themselves: “nationalists.” I’m often criticized for this choice, with some alleging that my language euphemizes and normalizes dangerous causes. Though such concerns are valid, I have nonetheless come to think that deescalating the tone of our language is vital if we want to better understand the political earthquakes reshaping our world today. I study nationalists through face-to-face ethnographic fieldwork; by observing, interviewing, corresponding, and spending time with them informally, and this impacts the way I think and talk. Like the surface of an oil painting, people too appear more complicated and chaotic when you view them at a close distance. After years of interacting with nationalists, I found I could no longer subscribe to commentary that glossed their internal differences or simplified their motivations and aspirations. The individuals I followed share an opposition to immigration and multiculturalism, as well as affiliations with obscure nationalist subcultures, but their thinking is in other respects diverse. They disagree over issues as fundamental as the nature of national identity, their ideal relationship with minority groups, who their past and present allies are, and how to achieve political change. Their stances on these topics, further, have real consequences for how they organize themselves and what agendas they choose to pursue. If we know someone is a “fascist,” we need know no more. Thus a cycle is born, one where ignorance informs our language, and our language breeds further ignorance. If we want to describe these people as a whole, in other words, our language must be encompassing. And if we approach them as outsiders, as I assume most readers of this blog do, our language ought to feed rather than starve curiosity. That is one additional reason why I favor the relatively undescriptive term “nationalism” as a scholar: I don’t want anybody—including myself—getting the idea that we actually understand what’s going on right now. Contemporary nationalists are not reincarnations of 1930s fascists, nor can their causes be generalized with any meaningful degree of specificity. It is not self-righteousness or elitism, but intellectual laziness that lets us claim otherwise. Which brings us back to Steve Bannon. The way he and others like him are portrayed in our public conversation—the labels themselves and their uncanny multitude—is a product of that laziness. Center-left commentators appear united in their belief that Bannon represents a profound threat to core liberal values, but they disagree as to what kind of threat it is and how to describe it. What I find relevant is not the disagreement itself so much as the lack of reaction to it. “Right-wing populism,” it seems, can as well be called “neo-Nazism” and vice versa. Perhaps that’s because journalists have some explanation as to why those labels are synonymous, but I doubt it. Instead, we don’t really know what to make of the movements and figures on the rise today, and some respond to that uncertainty with verbal spasms made of the most familiar incendiary language they can find. And when new terms emerge in public conversation, like “alt-right” in the US or “identitarianism” in Europe, we neutralize their potential to stir our thinking by reducing them to recognizable nomenclature (e.g. Clinton’s speech). Though commentators may not know what defines and distinguishes “neofascism,” “neo-Nazism,” or “ultra-rightist demagoguery,” they send an unmistakable signal with those terms nonetheless. They suggest that someone or some cause rests beyond the pale of our political spectrum and is therefore undeserving of serious consideration. Maybe that’s an appropriate, if hopeless, response in this case. However, one of its negative consequences is that it allows us to excuse ourselves from further inquiry. If we know someone is a “fascist,” we need know no more. Thus a cycle is born, one where ignorance informs our language, and our language breeds further ignorance. No doubt, we owe it to ourselves to examine carefully and critically the changes that are occurring around us. Remaining aware of historical precedent is always important, but so too is spotting the novelty of what is happening now. Let’s hope that our language allows us to do that. Featured image: New Yorkers protest Donald Trump and media racism by Joe Catron. CC-BY-NC-2.0 via Flickr. Benjamin R. Teitelbaum is Assistant Professor at the University of Colorado, Boulder and an expert on far right movements. 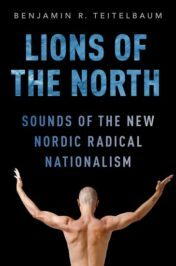 He is the author of Lions of the North: Sounds of the New Nordic Radical Nationalism. Eamon Duffy book, The Voices of Morebath, might be a guide. Caught in the violence of the Reformation and Counter Reformation, a media centric event (printing) their tiny village community identity reeled in the wake of events. Had their anxiety had access to a digital world, it might have found comfort in the anxiety of other distant anxiety. But their numbers, 150, were alone. Ben’s blog is interesting and thoughtful. BUT. Terms used in academic or even journalistic analysis are usually more precise (to the extent they can be) than in political argument. Invective is often an excuse for lack of thought or articulation, but sometimes the invective is earned. I don’t know if half of Trump’s active supporters are “deplorable” as HRC suggested, but I see evidence daily that many are deplorable if not despicable. Bannon is probably a complex figure as are Marine Le Pen, Wilders, Petry et al. None are traditional fascists in the 1930s or even the earlier postwar mode. Le Pen’s father probably qualifies as a genuine fascist or even pro-Nazi given his interpretation of the Vichy regime and events in France during WW II. Nationalist-populists vary in their “tolerance” of authoritarianism. Norway’s Progress party started in the 1970 by Anders Lange who had ties and sympathies for the fascist Quisling party (Nasjonal Samling). His timely death has allowed the party to move into the “democratic camp” and even now into the governing coalition. It is truly nationalist but not fascistic or even opposed to much of the social democratic edifice. In re. immigration: ideally countries should debate immigration policies before mass immigration occurs but none ever do!